Small, H.D. 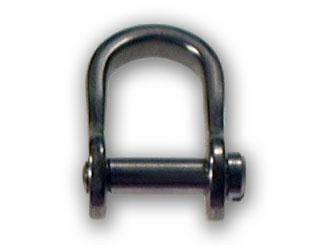 Stainless Steel bow shackles are commonly used to shackle terminal tackle to float ropes or shark clips to spearguns. This model comes with a slotted pin to minimize friction/hookups when passing through your fish catch.